Paul Mitchell heads up Jazz/Pop ensembles that produce the perfect volume of music to set the ambience for Fundraisers, Weddings/Receptions, Corporate Functions, Cocktail events, Wine and Scotch Tastings, Garden Parties and Grand Openings among others. 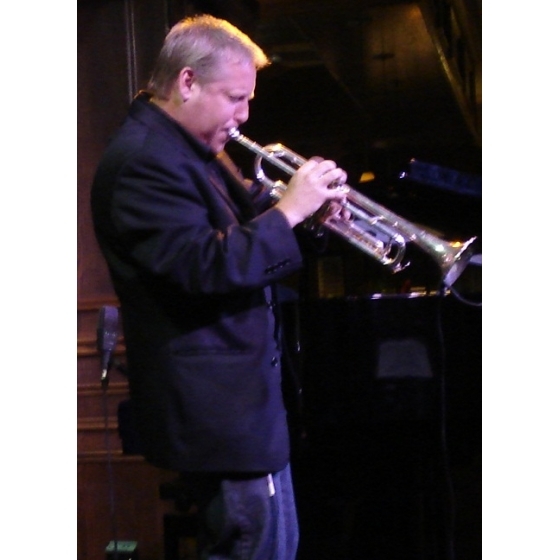 As well as being an accomplished Jazz Trumpet player (featured regularly at the popular Jazz venue in Uptown Waterloo's Heuther Hotel called "The Jazz Room") Paul plays with many of the top R & B/Wedding Bands in Toronto who play at all the major Hotels, Yacht Clubs, and Banquet Halls in The Greater Toronto Area. He also performs with a wide variety of different groups at Casinos all over Ontario. Paul has made his living as a Professional Musician for the past 25 years and is a well established musician in the Canadian Music scene. He recently performed in London with the legendary Frankie Valli. Paul also plays musicals and will be playing Drayton Entertainment's production of Honk which runs from November 29 - December 24. He also occasionally plays Church services and festivals and is going to be featured in the Beaches Festival this summer on Canada Day with his Steely Dan cover band called, "Pretzel Logic" http://youtu.be/_5U2W1hEslE . In August they will be featured at the Tawse Winery Along side Jim Cuddy (Blue Rodeo) This band is a regular at the "Orbit Room" in Little Italy (Toronto) the last Thursday of every month as well as Timothy's on Brown's Line every 8 weeks. This is definitly a band you won't want to miss. If you need a musician or a band, simply call the "Paul Mitchell Group" at 519-578-8438. Live Music For All Occasions. Paul also performs many dates in Canada and the US with a variety of Tribute Bands featuring the works of Billy Joel, Elton John and Rod Stewart. This fall he will be playing Drayton Entertainment's production of "Honk" at the St. Jacobs Country Playhouse. He considers himself to be very fortunate as he is constanly surrounded by many of Canada's most talented musicians. "Sometimes it doesn't feel much like work!"